Tryp Alicante Gran Sol Hotel Alacant, Hotel Spain. Limited Time Offer! Facing the water, downtown, the Hotel Tryp Gran Sol is only 300m (300 yards) from the beach, along the port of Alicante. 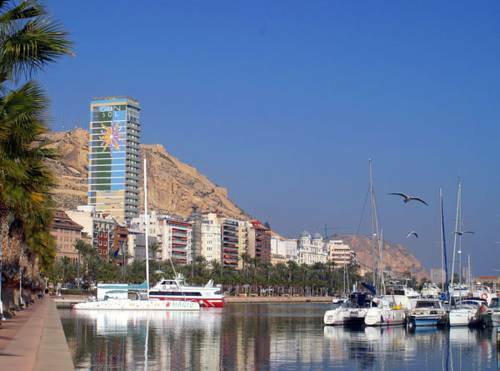 From there, go to the Teatro Alicante and the city's most popular shops and entertainment hot spots. Golf fans can choose between 13 different courses all within 15km (9 miles) of the hotel. 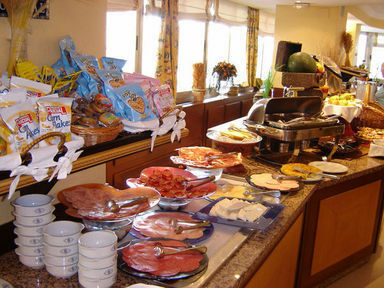 10km (6 miles) from Alicante Airport. 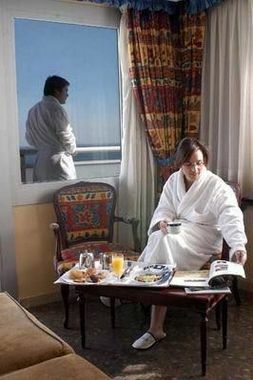 123 air-conditioned, heated guestrooms include satellite television, a minibar and safe. 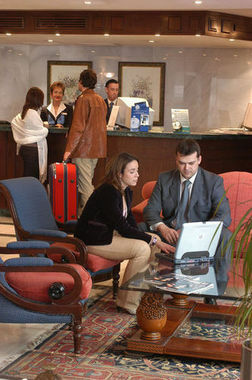 The hotel offers four elegantly decorated meeting rooms with the latest equipment. 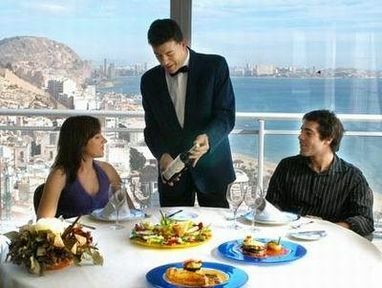 The Mirador Restaurant on the 26th floor specializes in traditional local cuisine and avant-garde, Mediterranean-styled dishes, offering breathtaking views of the sea. The Barlovento Bar in the hotel lobby is a perfect spot to relax or read. 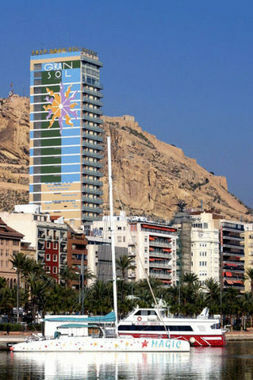 In downtown Alicante, the Hotel Tryp Gran Sol faces the sea and offers beautiful, panoramic views of the Costa Blanca. 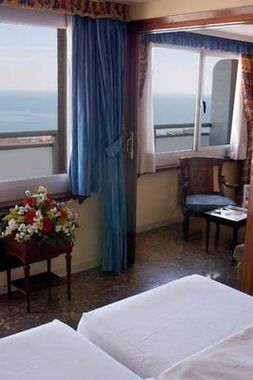 Renovated in 1998, this originally shaped hotel offers unique comfort, highly professional, personalized service and excellent value for money. Whether you're here on business or holidays, you'll have a wonderful stay at the Gran Sol. 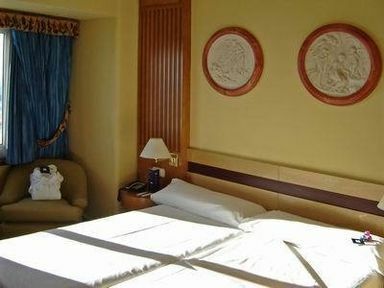 + Excellent location to the city and the promenade. Unusual rooms: there was a lounge completely separate from the bedroom. One of the two rooms booked had a balcony which was nice. - Room far too small - air conditioning antiquated and noisy - wifi signal too weak in the room so had to sit in lobby to work. - ithink this hotel need urgent restoration!! - Restaurant was good on first two visits but same overcooked frozen veg with main course was not appealing.